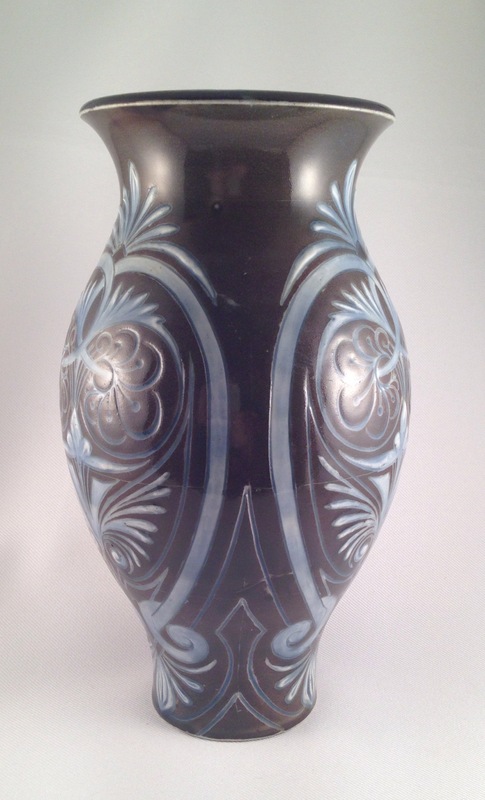 An interesting vase by Edith Lupton that shows how the vase was decorated. 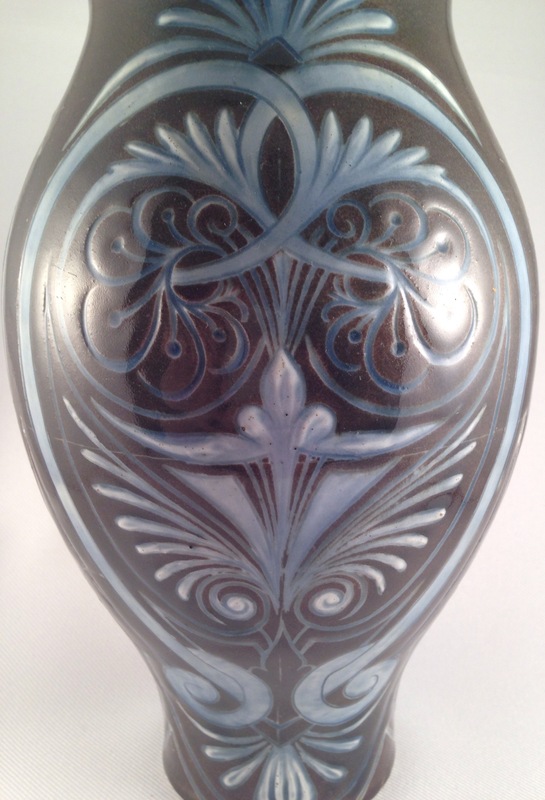 If like me you often look at a piece of stoneware with intricate, repeat decoration and simply marvel at how the artist meticulously recreated a design over the body of the piece, then this Edith Lupton piece that has come my way should illustrate some of her technique perfectly! Lupton’s work is instantly recognisable to her many admirers and collectors and whilst she collaborated with many of the great Lambeth artists, her own pieces are equally praise worthy. 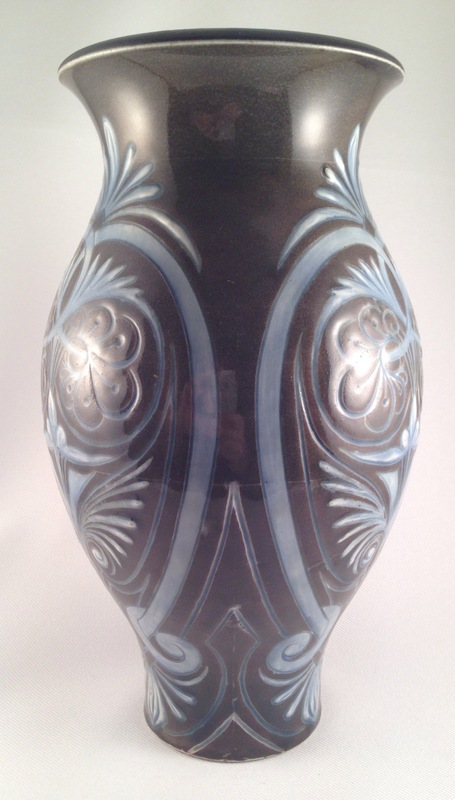 I hope you can all make out her feint guide lines showing through the glaze in these pictures of this vase from 1883. In addition to Lupton’s monogram there is also the assistant mark for Rosina Brown.